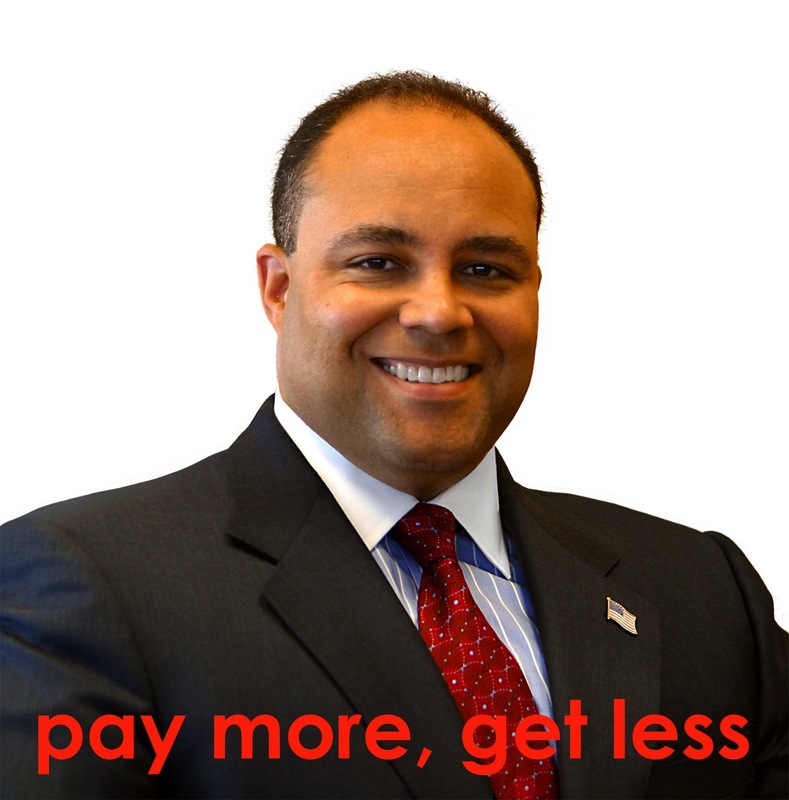 Michael Powell thinks customers should pay more per GB of data in order to get a better value. He also got his job at the FCC because his dad knew the president. Former FCC chair turned cable-industry frontman Michael Powell thinks that, in spite of the fact that delivering data to consumers continues to get less expensive, cable companies should be rushing to put caps on data usage and implement usage-based, metered broadband service. Powell, who chaired the FCC from 2001 to 2005, became president and CEO of the National Cable and Telecommunications Association, the cable industry’s lead lobbying group, which somehow believes that usage-based broadband and data caps are pro-consumer. Multichannel News reports that he recently told the audience at the Cable-Tec Expo in Atlanta that ISPs “should be moving with some urgency and purpose,” toward usage-based pricing models, and that it’s not too late for businesses to change consumers’ minds that tiered pricing is a good thing. Ars Technica points out that Powell is simply regurgitating the NCTA industry line on tiered pricing. “Since Americans are accustomed to paying for what they use, some broadband providers are developing usage plans that promote fairness by asking high capacity Internet users to shoulder a greater proportionate share of network costs,” the NCTA writes on its website. We’d counter that the usage-based examples that have been tried so far — like Comcast’s $5 discount for giving up 95% of one’s monthly data allotment — do nothing to shift the burden off lightweight users. These customers are still paying almost full price for a service (and risking overage fees that could eliminate any benefit of a discount) and only receiving a tiny fraction of what everyone else gets. So, assuming an average Internet bill of $60, the data hogs who push the limits each month and near the soft cap of 250GB are paying around $.24 per gigabyte of accessible data, while the “discount” customers are paying $11 per gigabyte. What a bargain! Powell, whose father is former Secretary of State Colin Powell (a fact that most certainly did not help him get his gig at the FCC) also described net neutrality laws — those guidelines intended to make sure that ISPs aren’t throttling certain content providers in favor of others — as “fundamentally unnecessary.” Apparently, he hasn’t talked to the Verizon customers who are having trouble accessing Netflix, or listened to anyone who might be concerned that the nation’s largest cable provider is also one of its biggest broadcasters, and therefore might have a reason to throttle competitors’ content.